Today I'm hosting a giveaway that I think many of you will be interested in, Ecosystem journals. Most of you know that I'm a big fan of journals as I've shared before here and here. I use my journals to keep all my craft ideas in one place. I've found if I don't write an idea down, it's lost forever. So now, I have one for home and one that travels in my purse. One never knows where they'll find inspiration. For this giveaway, three lucky readers will win one ecosystem journal. 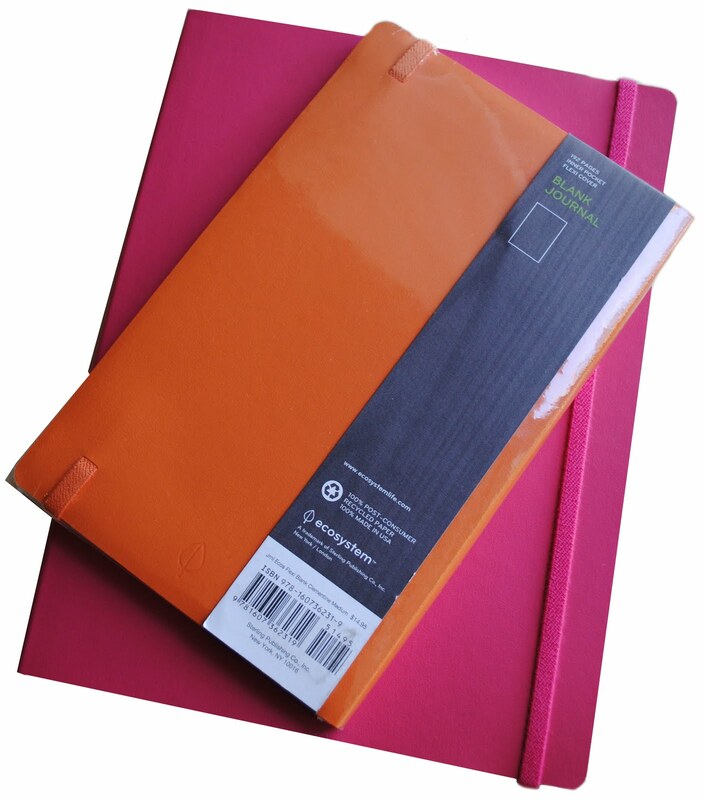 They will have their choice of a flexi-cover notebook in any size, artist or author, in lagoon, kiwi, watermelon, or grape! To see these options, visit the official site. To enter, you must leave a comment saying what you would use your journal for. Three (3) winners will be chosen at random. Giveaway ends Monday, November 22,2010, at 11:59 PM EST. *There are other craft sites hosting giveaways as well. To find more information about those giveaways please visit the Ecosystem Facebook Page. - Zakka Life is the official host of the giveaway and is sponsoring the giveaway, ecosystem life is just providing the prizes to the eligible winners. - Winners will be chosen via random generator. - Only those whom are in the domestic United States are eligible to win. I would use my journal to record sketches, inspiration & ideas ... thanks for the chance to win. i would love to use a journal like this for everyday journaling/sketching, and for jotting down quick ideas. These are fantastic! I like to use journals for never-ending to-do lists. My current one is about 40 pages long, but there are still items on the first page that aren't crossed off! I'd use my journal to doodle in! So lovely! I would use it to preserve and record the random doodlings of my three year old artist to document the progression of her work! I currently use composition notebooks and fill them with everything. Calendar pages, ideas, journal entries, doodles, drawings, craft projects, recipes, lists...I think you get the idea. After just a few weeks of toting my loveley notebook around with me, the poor cover starts to come loose. One of these babies would work out just perfect for me. I love journals! I always carry them around for jotting down ideas. I often have those "I could totally make that" moments when I'm out and about, so a new journal would be perfect for just that. i will use the journal to write down any nice quotes and lyrics i find from the books i read or the songs that i listen to. I will use it to write down the new direction of my life and every little secrets.... Thanks! I'll use this journal to keep track of books I want to read, knitting projects I want to start and possibly finish and movies I want to see. Oh to be so organized! I would use my journal to keep notes on craft project ideas! I would use it for a gratitude journal. I've been keeping one on my iphone but I think it's time to keep a more in depth one and tell more stories of my kids and family life to scrapbook. oh I was so excited to apply but I live in France right now so I guess I'm out. u_u Good luck to everyone else though. I would have loved to use it when going to review art museums. I'd keep this journal in my purse, and I'd use it to jot down things I find inspiring, notes I need to remember for class, or fun craft ideas I'd like to try in the future. Thanks for such a great giveaway! I would use it to organize my holiday shopping and decorating and party schedules. thanks for the chance to win. I'm a writer, so I will use it to keep track of ides that pop into my head! I think "watermelon" would be perfect for taking notes on all the new recipes I try...and for keeping track of the ones that work! I'd use them as a sketching book for all the things I don't want to forget! I keep one in my purse for random things ~ writing down a book, telephone numbers/emails of people I've met, little drawings, ideas and thoughts ~ things like that. The one I now have is almost full, so I love to win this journal! thanks for the giveaway! I'd use it for everything! :) to do lists, craft projects.. I would probably use it for to do lists, house projects, everyday things! I would use the journal for jotting down creative inspirations! I would use it for some creative writing! I'd use the journal to keep an account of the first year of being married to my soon to be husband. I love to carry around sketchbooks in class, some of my grad classes are so mundane. I take notes and draw at the same time to keep my eyes open! Hmm, I would definitely use them as diaries or sketchbooks! I would use this to keep my lists all in one pretty little place! I love writing and drawing pictures in my journal, I used to write in it EVER single day, but recently I haven't been doing it as much as I would like. Maybe this would help me get started once again :) So a more accurate question would be what wouldn't I use the journal for! I kept a one sentence journal as part of my Happiness Project I started at the beginning of this year! I would love a new colorful Ecosystem Journal to start fresh for 2011! I journal everything-craft ideas, silly things my children say, bible verses. These are beautiful! A pregnancy journal... hopefully I'll be needing it soon! I'd use it as a sketchbook! To take notes during my quiet times and reflections on life in general. Thanks for the giveaway! I would use an awesome journal like this to keep myself organized! Thanks for the chance! I'd use the journal to jot down notes and doodle! I would like to use this to keep my work, business, and childrens schedules in order. Ooh. These are great. I'd love to have an art journal on the architect paper. The possibilities are endless. I would use it to journal my toddler and baby's lives. I will give it to them when they are old enough to read and have them add to it, eventually making it just theirs (and not mom's). I would use my journal to record sketches, inspiration & project ideas ... Thanks for the chance. If I received a journal, I'd use it as a sketchbook; to hold ideas and idea springboards for my art quilts. I would use a journal like this to write the novel I've been dreaming about every night! Maybe then I could turn it into a movie and you could come to the opening! 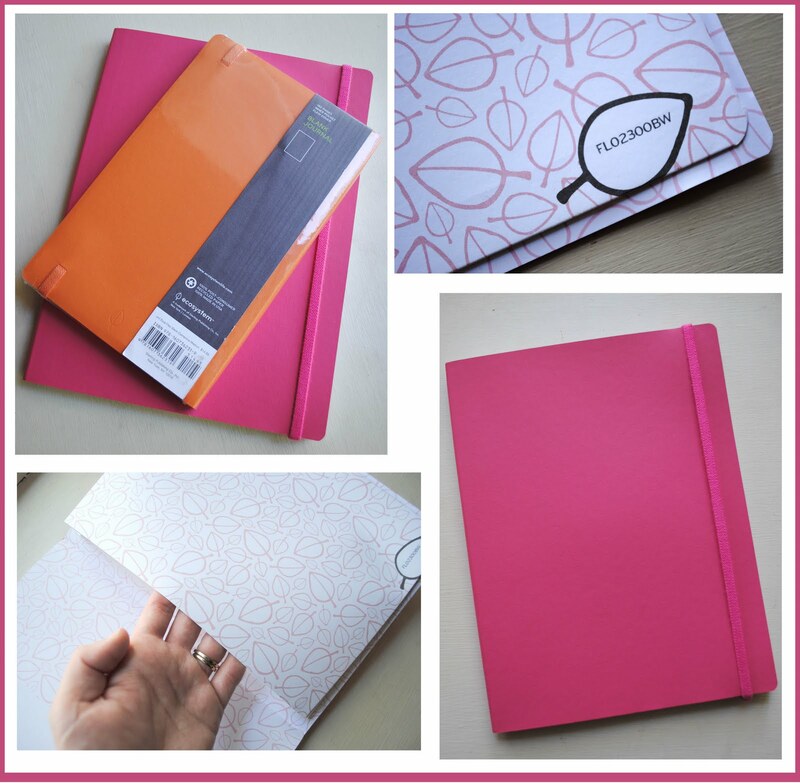 All this would spur from a beautiful inspiring notebook! I would use the journal to start keeping a journal. I would use the journal to write poems and stories, any random thing that pops into my head, sketches and doodles. It will help to remember that I am a creative soul! Thanks for the giveaway! I want to teach my boys the joys of writing your thoughts, songs, memories down to keep them alive. Thanks for the opportunity! I would use the journal to write down ideas what my family wishes for christmas presents. I'd love to have one of these journals and it'd be used for my scrapbook layout sketches! Science education & outreach is important to me, and it seems like my best ideas for workshops, field trips, etc. happen when I'm doing something besides brainstorming! And hey, ecology is my specialty! I carry around and keep different journals for different purposes. This one I'd use to either record amazingly funny or poignant things the youth I work with say or to record brainstorms for article/writing ideas. I would use it for my sewing and craft ideas~! I love tiny crafts, sashiko stitching and Japanese patterns! Beautiful journals! I love using journals to jot my ideas down in- you never know when that lightbulb is going to turn on!! Oh, I love those journals so much. I always fawn over my friend Julia's when we get together. I would use it as a crafty journal, where I can record ideas, color schemes, and project sketches! I am currently a nursing student, and I would use the journal to help write down notes while I'm in clinical to help save lives! These are so cute! I would probably use them to sketch drawing ideas, and to keep a journal with- my journal that I'm currently using is almost used up. These would be such a great Christmas Gift for my daughter. She is a budding writer, and loves orange and pink combo. I would use these for organizing my business notes and writing down any ideas that I have for my business. I love the look of them--perfect inspiration! What a great journal! I would use it for my knitting. I really need a way to keep my notes all together in one place. Of course it's just as likely to be snatched away from me by my craft happy daughter and used for her own purposes. I would use my journal to vent...I have one now but it is almost full! Beautiful journals!! I would use it for sketches I made when I scrapbook. And to jot down other ideas. Thank you! I will use it for my 2011 craft journal. I would use it to write a book for my son detailing his life as he grows. I would use it for my notes from church. I would have my daughter write her amazing poetry in it, and then save it for when she is grown to show her how brilliant her mind truly is.